Friday 9/28 at 9:45am in the Cafeteria. This is the last Volunteer training for the year. 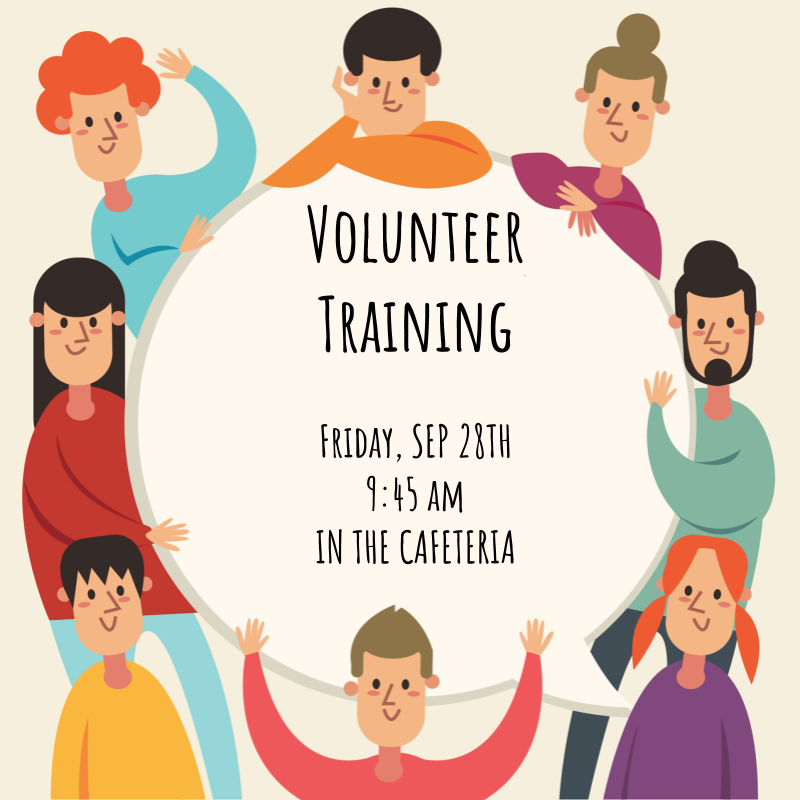 Calling all Volunteers!!!! We are looking to fill a few PTA spots!